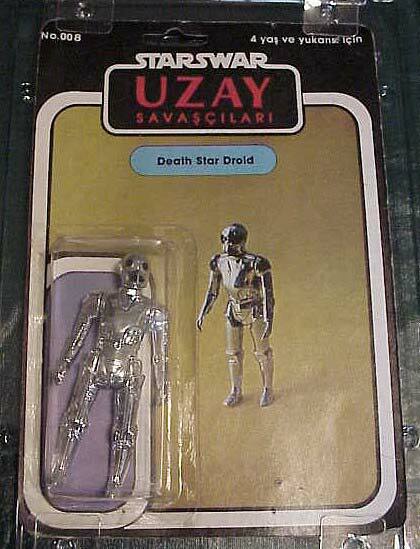 No line of unlicensed Star Wars figures is as sought after as the Turkish line known as Uzay. 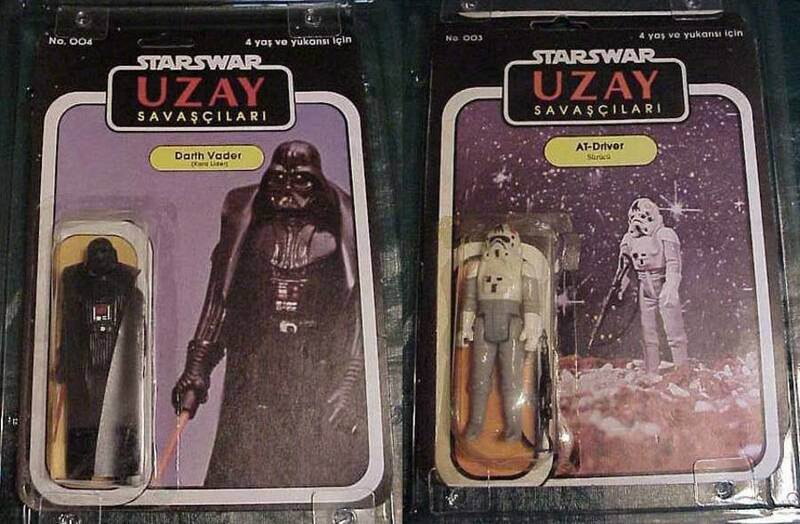 Produced sometime in the latter part of the 1980s, the primary charm of the Uzay figures lies in their blister card art; not only are the card images incredibly cheesy, at their best they border on the psychadelic. 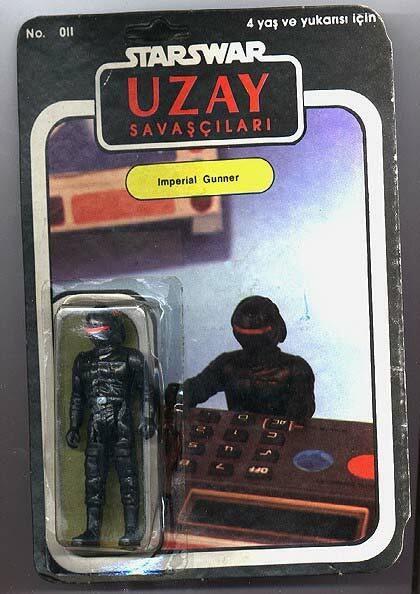 To some collectors, a figure like the Imperial Gunner, the blister card of which shows the figure standing beside a cleverly-photographed calculator, is just too goofy to resist. 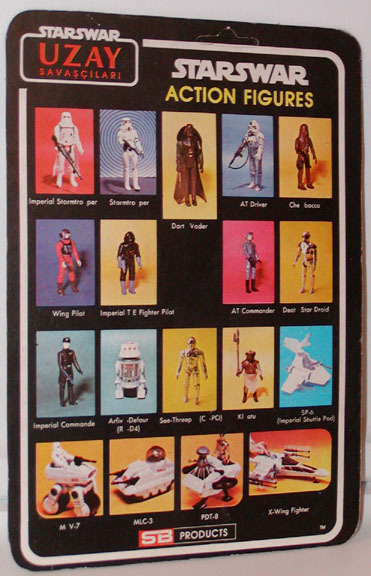 And don't get me started on the Chewbacca blister. Do you think they really have gourds on Kashyyyk? 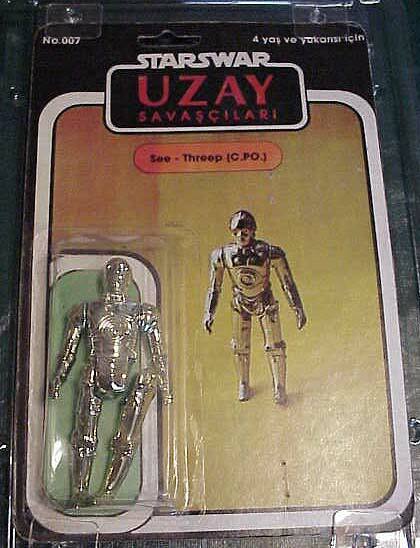 Trying to complete a set of Uzay carded figures is a daunting task; it might even be impossible. 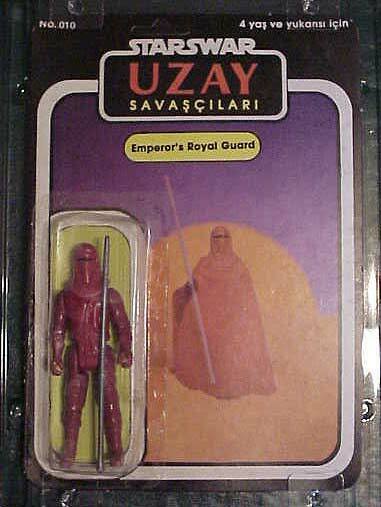 For one thing, the figures are exceedingly rare. 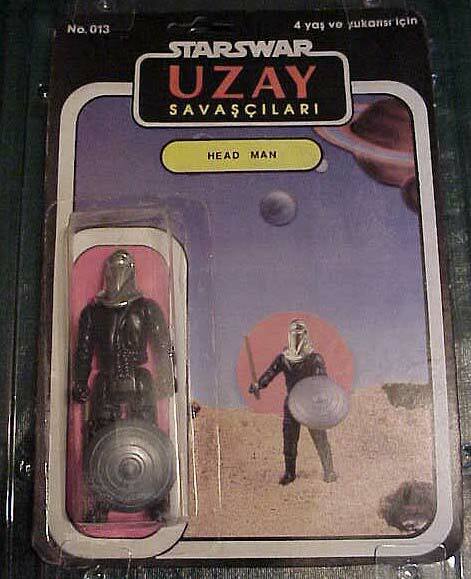 Although certain figures, such as the AT-AT Driver and Stormtrooper, have turned up on the collector's market with some degree of frequency, others, among them the mysterious Head Man figure, are thought to be one-of-a-kind pieces....and their owners are often not easily persuaded to sell. 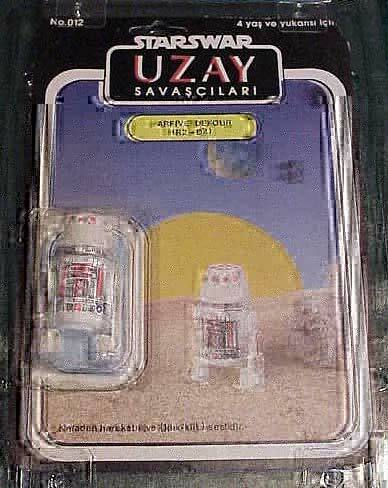 Additionally, the packages of these figures are quite fragile; their bubbles, for instance, are made from a very weak and brittle plastic, which often breaks given the slightest abuse. 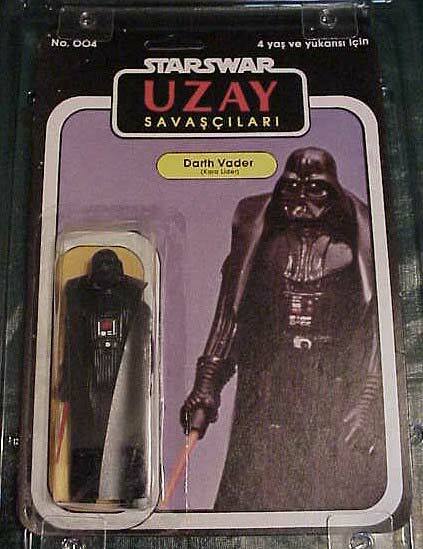 In short, if you're a collector who wants to start collecting Uzay figures, you'd better be prepared to 1) spend a lot of money, and 2) accept lesser-condition pieces when the situation necessitates it. But don't worry, such concessions are made in the interest of collecting high quality, beautiful merchandise, right? Um...right? Check out the collection below! What is your favorite figure? Awesome Samurai Warrior STAR WARS Action Figures!